EducationQuest Foundation, a free non-profit organization is coming to help you complete and file your Free Application for Federal Student Aid (FAFSA). Please call EducationQuest at 800-666-3721 to setup an appointment. Appointments are needed to receive assistance that day. Knowing the many efforts of the district to be fiscally accountable to our patrons, I collected data from the past 10 years for my own analysis. What I found, was that the district has had very minimal yearly expense increases and works with the same total revenue as ten years ago. However, the funding sources that provides revenue have dramatically changed. It’s interesting when looking at the 10-year trends of the school district, that the total district revenue from last school year is almost identical to the amount from 10 years earlier. It’s assumed that most businesses and school districts would be very happy with only a 1.2% yearly budget increase over the past 10 years. The big issues are the decreasing and unpredictable changes in State Aid and the fact that ‘Other’ funding sources are decreasing, leaving Local Property Taxes to make up the difference. Other Income - federal programs, state program receipts, grants, etc. In comparing the ten year revenue differences of the 2006/07 school year and the 2015/16 school year it needs mentioned again, the revenue amounts collected in these two school years (10 years apart) are almost identical. The difference is the decrease of both State Aid and Other funding made up by Local Property Taxes. The increases in Local Property Tax, nearly exactly fills the void of lost revenue from State and Federal resources. This graph shows the three funding sources for the total revenue of Chadron Public Schools for each of the past 10 years. The distribution of these funds have significantly changed. There’s a decreasing trend in the amount of the budget being funded by both State Aid and Other funding sources (mostly federal programs). This decrease has been entirely replaced by Local Property Taxes. Special Note: Chadron Public Schools has unique characteristics compared to other Nebraska districts due a large percentage of federal and state land located within the district which leads to untaxed property assets. Chadron Public Schools’ expenses have increased over the past 10 years by a yearly average of 1.2%, much below the state average. Note the decrease in 2010-12 when CPS reconfigured buildings and classrooms to reduced many full-time positions in the district. The very minimal growth in expenses since are attributed to rising inflation costs of materials and services. Despite any best efforts, it’s probably safe to say that the cost of education doesn’t get less expensive over time. It would not be feasible to assume that the district can significantly reduce staff every five years without losing quality of education and needed services for students. In addition, there continues to be an increase in mandated (and unfunded) state and federal programs and the ever increasing cost of of inflation resulting in additional expenses for equipment purchases, facility repairs, technological upgrades, or other special service needs for students. Despite the school district’s expenses increasing at only 1.2% per year, there has been no revenue increase over the past ten years. Revenue amounts have not changed in the past 10 years, however, the distribution of funding sources has dramatically changed. Local Property Tax has replaced the loss of State Aid and Other federally funded programs during the past 10 years. In team competition, the Junior Team of Hailey Watson, Cole Madsen, Cooper Heusman, & Cooper Wild placed 3rd and earned a Red Ribbon! As a result of these placings, all earned an opportunity to compete at the state range judging competition in Lincoln Nebraska on September 28th, 2016. These students will compete using the same format against other qualifiers from across Nebraska. 2016 State Tests Were Our Best ...Ever! .....or at least part of them! I'm just going to begin by saying that I've been frustrated (impatient is probably a better term) at the unusually long wait of the public release of the 2016 state test scores that were completed last spring. The Nebraska Department of Education finally agreed that September 16th would be the public release of the results of all four subjects, however a statement this week indicated that the Writing scores will be embargoed from public release until another review is complete. (NDE Statement 9/15/16) Following inquiries from some school districts, the Nebraska Department of Education is confirming the accuracy of calculations of NeSA-Writing data. Therefore, NeSA-Writing data will remain embargoed until the review is complete. Why have I been impatient to report the 2016 CHS State Test scores? Because we had our best results ever! Not only was Chadron High School's percentage of 'proficient' students higher than the state average in all four subjects (by double digits), but we had our highest scores ever recorded in three of the four subjects! CHS has the 3rd highest Reading proficiency in the state! (data embargoed)CHS currently has the 2nd highest Writing proficiency West of Omaha! 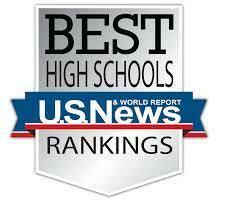 CHS has the 2nd highest Math and Science proficiency in the panhandle! Information about the Nebraska State Accountability (NeSA) tests: High school students are tested in four subjects (Writing, Reading, Math, and Science) during the spring of their junior year and results are provided in the fall. Students score into one of three categories on each test: ‘below standards’, ‘meets standards’, or ‘exceeds standards’. Proficiency is calculated by combining the ‘meets standards’ and the ‘exceeds standards’. Parents will receive a report on their child's scores from the local school district later this fall. Detailed reports for schools and districts are available on the Nebraska Department of Education's homepage at www.education.ne.gov. Writing results are not available at this time. While the Writing data is not released publicly until another review for accuracy is completed, I'll just report that current results show we had more students score at the 'proficient' level than ever. Much higher than the state average with many students obtaining perfect scores. Once NDE finishes another review, I'll update our final results. Reading had a large increase compared to last year’s scores. 93% proficiency is the highest recorded at Chadron High School. Our overall proficiency was 10% higher than last year and 21% higher than the state average. In addition, it is exciting to see that 41% of our students scored in the ‘exceeds standards’ category with 6 perfect scores!!! Math is another subject with our highest-ever proficiency. We had 81% of our students test proficient which is 18% higher than the state average and 14% higher than our scores a year ago! Our 5 perfect scores were our most in this subject as well. Science has always been one of our highest proficiency subjects and the most consistent. Even though we had a 3% decrease from a year ago, the 84% proficiency is 10% above the state average.